(left) Marie Antoinette queen of France, 1779. By Élisabeth Vigée-Lebrun (1755 –1842). (right) Kate Moss at the Ritz in Paris. Photographer: Tim Walker, styling: Grace Coddington. Vogue, April, 2012. 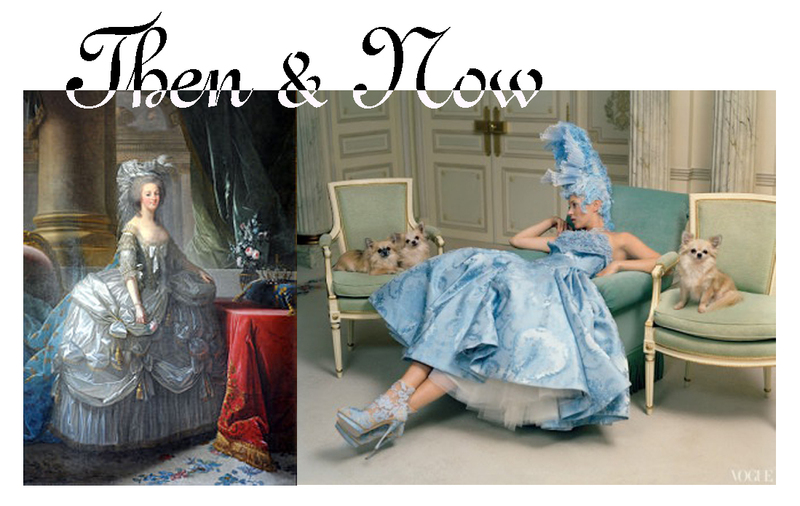 This entry was posted in Then&Now and tagged Élisabeth Vigée-Lebrun, Fashion Photography, Grace Coddington, Kate Moss, Marie-Antoinette, Tim Walker, Vogue. Bookmark the permalink.